Ever noticed how many interesting shadows can be seen throughout the day? Use the Shadows Journal to capture them! Go on a Shadow Hunt and take photos of Cool Shadows. 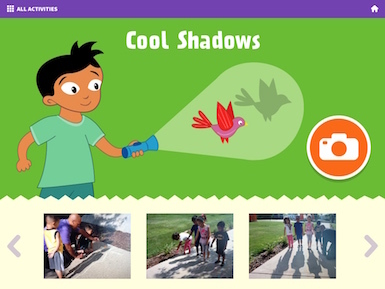 Create a Mystery Shadows matching game by photographing objects and the shadows they make. With tools for children to record their observations, the Shadows Journal playfully introduces children to the science of shadows. The Shadows Journal is part of a Shadows curriculum supplement from Early Science with Nico & Nor™ that was rigorously researched and developed specifically for preschool classroom use. 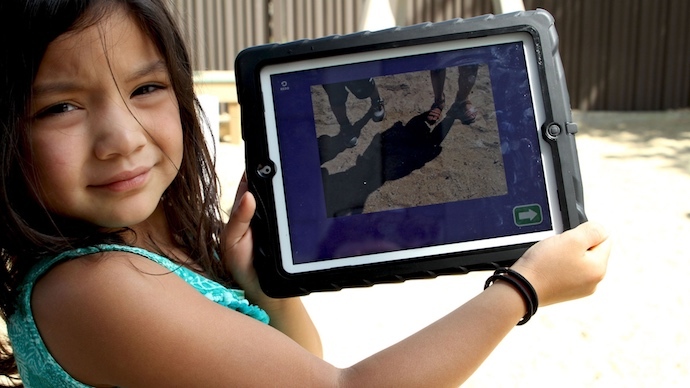 Early Science with Nico & Nor curriculum supplements combine traditional classroom activities with digital learning to promote young children’s engagement with age-appropriate science practices and concepts. Explore the Nico & Nor Early Science Teacher’s Guide!